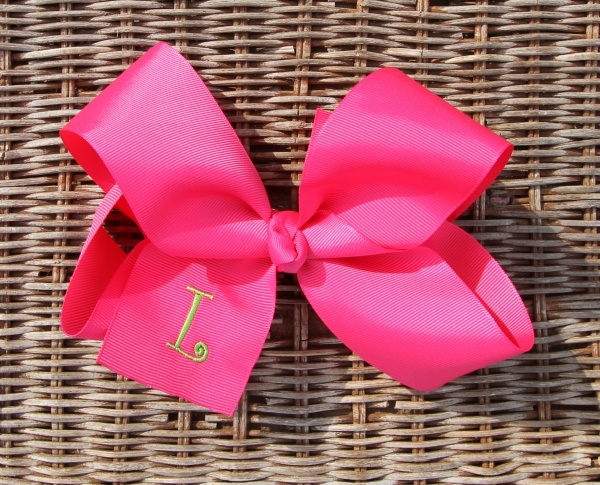 This is a big shocking pink grosgrain ribbon bow. It is a large sized bow, so if you want big, this is it. The picture and video does show the added feature of embroidery. If you add this on, you will get a 1" First initial in a Mono Curls Font in the color of your choice thread. Just put instructions in the check out box. 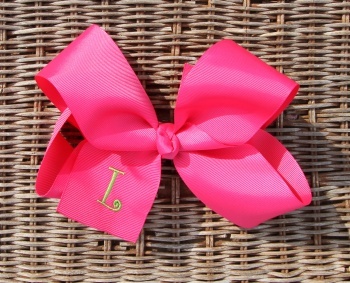 This bow is awesome all by itself too so either way you want it put it in the cart. Shocking pink color will match anything and everything.